Did you know that Rana Creek Nursery has moved to a convenient new location just off of Carmel Valley Road, behind the Earthbound Farm Stand? We’re excited to have you visit us at 7480 Williams Ranch Road in Carmel, California. We’re open for both wholesale and retail sales Monday through Friday from 8am to 4pm, and now Saturday and Sunday from 9am to 4pm. Feel free to peruse our Plant Availability List on the Nursery Website to see which plants are currently ready for purchase. We always have plants in production, though, so please give us a call at 831.659.2830 if you don’t see the species you’re looking for. We’re here and ready to help with all of your fall planting projects, so come see us and get some new ideas. We look forward to talking with you soon! 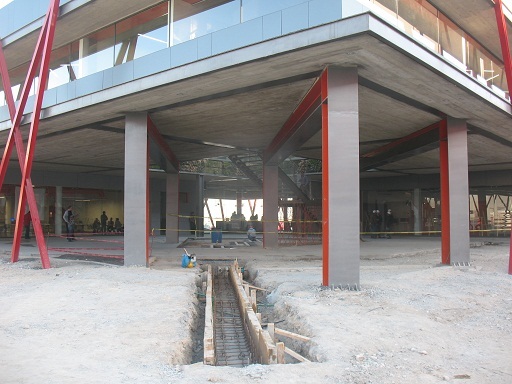 We recently took a trip down to Saltillo, Mexico to check on the progress of our design work at DeAcero’s new Steel Mill called 3M. Rana Creek Design has been involved in several aspects of this project including overall ecological assessment; landscape design for the long entry road and at the new office headquarters located on-site; extensive stormwater management through constructed wetlands; process water treatment and re-use systems; 200 acres of habitat restoration; and creation of a maintenance manual to ensure long-term viability. 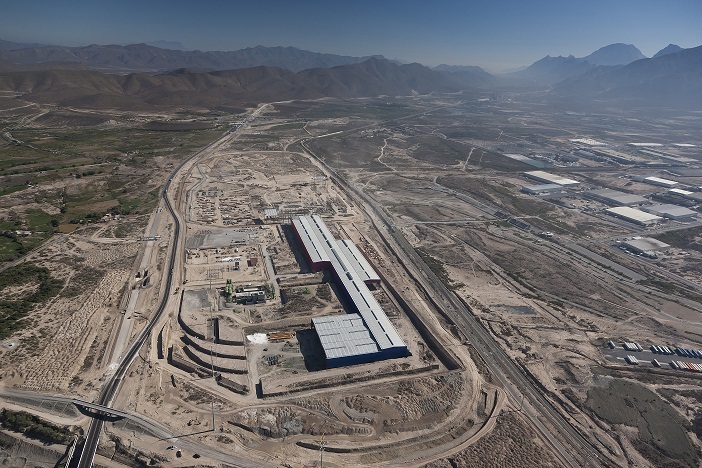 The plant is located on a 500 acre area of the Chihuahuan Desert, east of the city of Monterrey. The site is surrounded by mountains, and belongs to the Rio Pesqueria Watershed. The Rio Pesqueria drains to the Rio San Juan before it joins the lower Rio Bravo (Rio Grande) and empties into the Gulf of Mexico. The Ecological design proposal for DeAcero 3M, including the goal of achieving zero stormwater runoff, will help to protect the fragile desert ecosystem, increase on-site biodiversity, and relieve stress on the larger San Juan Watershed, which is affected by drought, water scarcity, and pollutants.